"Conservatives have been trying to replace [professionals] with other people, people with less “advanced” social views. It’s not been a core vote strategy, it’s been a transfusion strategy. It has not worked. It will not work. And not just because the number of AB voters is growing and turns out in higher proportions. It’s also because AB views rub off on everyone else. The Tory party can try to change the opinions of AB voters. Or it can accept those opinions and adapt to them. What it cannot do is ignore them. The thing about the chattering classes, you see, is that they chatter." 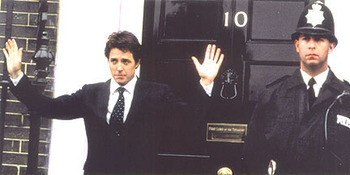 "The Tories think they have elected Hugh Grant. In doing so, they believe, they have solved a nagging existential problem. Until the mid-1980s, the Tory faithful felt themselves the natural party of the middle class. But since then they have drifted apart as the Tories became Thatcherised and the middle class changed its self-image, political opinions and sensibility – became, in a word, “Curtisland” after Richard Curtis of Four Weddings and a Funeral, Notting Hill, and Love, Actually, in which a multi-faith, multi-ethnic London middle class swears terribly but is otherwise awfully nice and holds excruciatingly nice opinions. This is a global phenomenon as parties across the English-speaking world change composition with blue-collar workers moving right and others left. But the Tories don’t know that and would like to be accepted in Curtisland once again." The success of 'the Curtisland strategy' will depend upon whether the number of chatterers attracted by Cameron's eco-friendly and civil libertarian Conservatives are greater than the 'striving voters' made homeless by the absence of a party championing their concerns. Those concerns include homeland security, Gordon Brown's European-level taxes, uncontrolled immigration and unreformed public services. It isn't too late for the 'politics of and' but the possibility diminishes with every retreat on such issues as grammar schools and patient choice. A major reason why the Liberal Party re-adopted the "Reagan Democrat" approach in Australia in 1994-1995 was because we were able to identify that the 'Reagan Democrat' vote was the key bloc in the marginal seats we needed to win. Not necessarily a majority nationwide (although it appears since then that that is in fact the case), but the key point at that time was that they were key in the marginal seats. I think that situation appears to be reversed in Britain - it's the AB progressives, or in Australia the "doctor's wives" that are the voters concentrated in the marginal seats. Therefore it seems that Cameron's strategy - at this stage - appears the more voter-rich one for the Conservatives. It's all true, of course. I live in the east end and work in Essex; I know exactly the sort of demographic the old Tories appealed to. Actually it's me! But it's not enough (appealing to what the commentariat patronisingly call "blue collar workers"), whatever the experience of the Australians or the north Americans (who don't have three party politics, of course). I'm very pleased, though, to see John Sullivan discussing the existential nature of our problem, rather than pretending that the problem is one of not being sufficiently Thatcherite (which undoubtedly he believes). Not sure his dichotomy is spot on though - we seem to be asked "should you be more Thatcherite, or be a nice person who swears a lot?". Don't think either are on offer. Should you go out of your way to be not deliberately offputting to the English middle-classes and, in places where it suits (eg London), not get hung up about swearing? Umm, yes. Oh look! It works. I'd be interested in seeing some serious research about just who is concentrated in marginal constituencies - as all I've read for months are just peoples' hunches - my hunch is that while AB voters may be overrepresented in Con/Lib Dem marginals, in Con/Lab voters the key swing group are C1 and C2 voters - but I could be wrong about that. However, we need to recognise that class is just becoming less and less important as a determinant of voting behaviour. Back in the fifties, about 75% of AB votes would have voted Conservative. Basically, even extreme left wingers would often vote Conservative, if they came from that social background. That kind of class-based voting isn't coming back. The problem with appealing to "Curtis-Land" is that the inhabitants of "Curtis-Land" want to believe that all social problems can be solved by being nice. They can't be. Agreed Sean - some considered research on exactly who the swing voters are in the target seats would be a major asset, and I think would help the Party in its medium-term strategic direction. Until then, though, it seems plausible that NOT appealing in some way to "Curtis-Land" means sending the Party to Limbo-land. We also have geographical considerations which prevent the "strivers" strategy from actually delivering seats. A more professional approach to looking at each target seat, current position, local issues and then supporting the local candidate in localising the message is key. Hopefully DC has attracted back some moneyed individuals to fund this. But we mustn't lose sight of need to both reach out and also to support our existing voters. While I agree with the DC offensive to re-position quickly I hope he also has a strategy to build a strong conservative agenda for change in the medium/longer term. The man from CCHQ might be able to give you a steer on this, by some trawling through the much vaunted Voter Vault software which Dr Fox bought at great expense before the last election. Certainly the man from Central Office claimed it was the answer to the maiden’s prayer, but my limited use of it in our constituency left me with some doubts. I agree we need some proper research into the voting intentions of the floaters—I prefer to call them Swings. The position in Scotland is very different to England but our experience was that we actually did better (in seats that were not basket cases) in straight fights with Labour. In our constituency we achieved a 4.5% swing from Labour ---sadly not enough though to win. In other Scottish seats where the L/d’s and more importantly the SNP were our target we did significantly less well. So what am I saying : I think we need to look carefully at all the target seats and develop a strategy that brings on board the L/d Swings where the L/d’s are the incumbents, but also be able to accommodate the nu Lab Swings where nu Lab are the incumbents. These two groups of Swings may well have divergent socio economic profiles. I think John O'Sullivan is correct when it comes to analysing the broad shifts of aleigance among the various classes of the population. However I strongly suspect, given the evidence from things such as local government elections, that the key voters in UK marginals are indeed from 'Curtisland', that is economically liberalish but strongly social liberal. There are a lot of voters who fall into the other target group but they would seem to be mainly in seats where Labour is too far ahead to be unseated except by a massive swing. So following O'Sullivan's strategy and pursuing them is a recipe for a big increase in votes (maybe) but a small win in terms of seats. The other problem, which Howard and Bush don't face is old fashioned class politics. Many of the people who are receptive to a socially conservative message are traditional working class voters who would sooner eat the knackers off a scabby donkey than vote Conservative. To put it another way they are socially very conservative but economically collectivist and they aren't going to vote for a party they associate with economic liberalism. What this means in one sense is that our political system is malfunctioning because there are lots of voters whose views are not represented. There's a real possible opening for a right wing populist party, that has a collectivist approach to economic policy, but only if PR is brought in. Fact: the BBC is trusted by far more people (including 'strivers', C1s, swing voters, etc) than is the Tory Party. Fact: the BBC is run by rampant liberals with leftish views on crime, internationalism and, above all, race. Fact: the BBC will smear, misrepresent, marginalise and destroy any Tory leadership that appears not to share their liberal world view. Fact: being liberal, consensual, left wing, etc is the only way that the Tories will ever neutralise the BBC. Fact: once back in power the NUMBER ONE priority for the Tories must be to privatise, dismember and destroy the BBC. Steve, I'd question whether "Curtisland" people are particularly economically liberal. They're more the sort of well-heeled people who think that businesses can afford any level of regulation, and regard economic success as their birthright, rather than something that has to be worked for. I agree with Gorby. The BBC must go. Yes, the BBC must go but only a Tory government would even consider the possibility. That's why the Cameron strategy of disarming the attack dogs by talking left is the ONLY one. Does anyone *really* think that Cameron would dismantle the BBC? Not a chance. Remember hecklergate? I though Howard was right not to make a big deal at the time and to stay focused on the campaign. But the Party’s silence since has been inexplicably stupid; the BBC didn’t have a leg to stand on and we should have driven this very aggressively. ISTR that the BBC rejected Guy Black's complaint about Hecklergate. It must be nice to be self-regulating. The BBC should only be maintained if it can be cleansed of its left-wing bias. The BBC was originally created to educate and civilise. It is time it concentrated on those virtues. Incidently if the BBC does have to be privatised they should at least be compelled to maintain the BBC News website in its current form. I find it to be most useful in comparison to other such websites. Oooh err.. ABOVE ALL, RACE eh? Go on.. What's a leftish view on race then? And while you're informing my ignorance, what's a rightish view? Amazing how one phrase can be more revealing than an entire paragraph! "Fact: the BBC is run by rampant liberals with leftish views on crime, internationalism and, above all, race. Amazing how one phrase can be more revealing than an entire paragraph!" I think what he might mean is the BBC's obsession with racism and disproportionate coverage of white-on-black racial attacks. However, it is best if he answers for himself. "Oooh err.. ABOVE ALL, RACE eh? Go on.. What's a leftish view on race then?" asks Goodness Gracious who ends by saying "Amazing how one phrase can be more revealing than an entire paragraph!" What it means, GG, is a slavish adherence to orthodox liberal left politicial correctness. A refusal to critially examine the practical effects of multiculturalism, a desire to smother debate and marginalise those - of whatever race - who challenge the lazy assumptions of the race relations industry. For example, in many areas of political debate the BBC offers space to encourage 'debate', 'fresh thinking' and 'pursuit of truth'. But the while liberal leftists of the BBC have a neurotic fear of the great unwashed and their supposed capacity to be whipped up into a racist lather by an unmediated debate. Hence the ferocious attempts to police the boundaries - of which the snide insinuation of your closing comment is a classic example. Why didn't you just call me a racist and be done with it? The BBC's done a lot of naughty things, but above all race Tsk! Why didn't you just call me a racist and be done with it? Now why would I go do a thing like that, Guv? Especially as I'm waiting for you to tell me what a rightish view on race is, your knowingness. I think that what we might want to discover is who the swings are in semi-marginals - I think its evident that unless Cameron is a disaster he should be expecting to expecting a net gain of 25 seats from the 30 most marginal ones we are looking to take. Clever targetting might deliver 2 or 3 more than otherwise, but generally a national swing should take them with us anyway. What we'll want to look at is the next 70 most marginal seats - if we are to follow this kind of approach our national election strategy must surely be based around these? Nevertheless, the above strategy is a somewhat unappealing to me because I don't see much future in it - at best it will deliver a victory with a tiny minority in the next general election and would probably mean another long period out of office afterwards. I think we should be looking at the Lab-Con marginals and picking up more strivers, closing the gap on seats like where I am at the moment (Derby North) where a ~15% Labour majority means it isn't a marginal but could be in the future if we appeal to people here. Make a lot of semi-safe Labour seats marginals giving us a good platform for the future. John O'Sullivan is missing the point when he attacks Camerons centrist positioning. It is only by 're-basing' the party in a populist position and taking people with us will we win over those that doubt the merit or motivations we have for much of our policy. To continue to stand way over on the Right in isolation from these voters has been, and will continue to be, an election loser. There is little point in a political party that is ideologically dogmatic at the expense of becoming unelectable. By adapting our position to win people over and delivering what is importnat to them however may very well win us the permission to be more adventurous with reform, but only after we have built up a worthy track record of being dependable, trustworthy and caring. We have much more lee-way than a Labour Party that has jammed itself into a political cranny and cannot budge without upsetting either its members or the electorate. This is why the 'aping Blair' accusation is untrue. ps - on the subject of the BBC, I think that it is a fantastic institution and any bias is on a far smaller and sporadic scale than is suggested above and I find the barely concealed hatred of it as vented by some quite unsettling. (comment directed at Oberon's last one by the way). Yes, of course the BBC has a massive, and far from benign effect, on the social (not just political) landscape. The BBC isn't all Radio 3 and Melvyn Bragg. It is Eastenders and worse. Reflect on the vast problem of the underclass, as all to accurately blogged at the Spectator today, and the extent to which it is the product of media mores. And this isn't so much a party point as an ideological one: as the writer hints Mr Blair has a pretty good idea of the social collapse of many British cities and what has caused it. It's a fact that the conservative revival in the US owes much to the rise of alternative media. If that were not true, then why would the left-liberal establishment over there be spending so much effort and so many billions of dollars trying to hamstring it, as described in the following important article? The media issue in the UK *is* an important issue in *several* respects. I think the BBC has a definite world outlook Oberon, and it's definitely a non-Conservative one. The BBC must go. It is extremely anti-racist and they are all on drugs. I heard some of them actually saying it was a good idea to have immigrants also. We will never keep England England if we have the BBC actively encouraging foreigners to come here. Not only that but they also believe in free health care. I heard it on the radio. Dont you know it stands for buggers, bastards and communists. "Incidently if the BBC does have to be privatised they should at least be compelled to maintain the BBC News website in its current form." Many people don't see any bias in the BBC because they don't know anything else. I do not believe that it is even *possible* for a news organisation to be unbiased. (Left-wing post-modernists -- if they were consistent -- ought to agree with me.) The most dangerous thing about the BBC is its *claim* to neutrality, which many people credulously accept. We need more variety in our media; it is unhealthy to have one broadcaster with such dominance. It's simply worrying that some people are blind to the BBC's brand of bias. - anyone who uses the word "asylum" or "immigration" in the same sentence as the word "problem" is a racist. - street crime is an invention of the Daily Mail, but racism is to blame for vast amounts of crime. - and Euro-sceptics are outside the bounds of rational discourse. So, I suppose it's hardly surprising that those least keen on change like the BBC the way it is. In the Thatcher days, the wets always promoted the BBC as an example of reason. The Tory Reform Group were the worst BBC worshippers. "At the time this blog noted that The Times' Daniel Finkelstein was recommending a very different approach". And what an appalling electoral record he has! I know, I know. I just have a soft spot for the BBC News website. The BBC website is more biased than the news programmes Richard. It also goes into areas outside the BBC Charter. It is a core part of the problem, not the solution. Close it down! The BBC will always be a left wing institution, because it is a national instition. There is no way of successfully 'changing' the BBC to be more impartial. Privatisation is the only option here. The problem is, despite its left wing bias, it still does produce some high quality programs, and when compared to the other basic channels, is the nations favourite. Like it or not, the BBC will remain for a long time to come. Taking on such an established institution would take serious political conviction. Something David Cameron, I suspect, lacks. Privatisation must not entrench and enrich the lefties that we want to get rid off. You just sell off the frequencies and other assets. Public service broadcasting died years ago. Let freedom reign! "... and when compared to the other basic channels, is the nations favourite." Only because ITV is going through a low patch. For a long time before, ITV was outstripping the BBC in terms of audience share and ratings. I have to say - as a Conservative - that our reforms that stopped the regions competing for airtimes, and thus experimenting with drama and comedy, have been to the detriment of the network's output. Now it's almost all under single ownership, that internal drive isn't there. I prefer the BBC..Something worse than centre-left broadcasting is ads! I do not think the BBC privatisation will go well with the public in the first term, however, with escalating licenses..that can easily change. "I prefer the BBC..Something worse than centre-left broadcasting is ads!" Because the only alternative to the licence fee is adverts?!? The government's own report on this recommended making the BBC a subsdcription funded service. Privatise it in stages, Jaz. As fot the ITV merger, Carlton's On Digital fiasco was a contributory factor. Those involved have a lot to answer for. Guess who? Yes James and the elderly can get subscription vouchers - redeemable on Sky too. Would one of them like to deliver pat homilies about corporate social responsibility, Selsdon? Or other subscription and satellite channels too. I'm struggling to think of any white-on-black racial attacks covered by the BBC apart from Stephen Lawrence and Anthony Walker and I think much of the media covered the aftermath of both murders in great detail. I don't see what the BBC did that was in excess of any other channel. 2 men in 12 years hardly seems disproportionate, and it was the nature of the murders that made them more horrific and newsworthy, not the white-on-black although that was definitely a part of it. In fact, apart from when the McPherson report came out, I really can't think of any other time the BBC covered racism extensively. It might help if people stopped watching BBC News 24 so frequently. The same stories are looped for 24 hours a day, so if you're stuck home at the weekend like I often am, you might start to think the reporting of some stories is getting a bit much. Might be a sign to go out for some fresh air instead of ranting about the BBC's disproportionate reporting. Perception vs. Reality. Tough Call. CSR is tosh, companies should only be responsible to shareholders - Steve Hilton take note! "if you're stuck home at the weekend like I often am"
We will have to help you get out more! I recommend Sherlock Holmes on ITV3 at weekends. "In fact, apart from when the McPherson report came out, I really can't think of any other time the BBC covered racism extensively." Not extensively, but as a factor in story after story. Interestingly, while the BBC is happy to attribute "white on black" attacks to racism (see the recent Australian riots), it strangely leaves out the converse (the simultaneous Portuguese riots). ITV is going through more than a rough patch at the moment. The only good thing it ever offers is Poroit. The BBC, despite my dislike of its bias, is still the best. When they started showing 24, they won me over. ITV is going through more than a rough patch at the moment. Not really, it's just in a programming rut - everything is soap or detective or reality. Their new commissions show this is changing. Their "Eleventh Hour" - this Thursday - is already being trailed as their best new series in years by the press - and it's sci fi. They're experimenting again. A digital channel you can presumably receive as you also get News 24. I followed the story of the riots in Australia when it broke and till it died. I know they used the terms "racial violence" and "race riots". I doubt anyone here can argue with that. I never heard "racism" and they didn't call anyone racist either. There might have been mention of some Far Right groups joining the riots, but I doubt this information came from BBC News. A quick scan of BBC News website also shows this. When they did use the word "racist" they were quoting people's conversations and there was always another point of view. Any links or evidence you have to back up your claim would be appreciated. Once again Perception vs. Reality. Give the BBC a bad name and then hang it. I think what you forget is that were the BBC News website taken away, others would emerge in its place. The BBC's dominance in the News media in general stifles competition. I know they used the terms "racial violence" and "race riots". Presumably you think these terms are discrete from racism? That racial violence isn't... racially motivated? I cannot believe how disngenous your position is. Yes, you have no grasp of reality. Note that there is no mention of the attackers' ethnicity. The fact that they were black was the aspect of the story everyone in Portugal, where race relations are generally good, was talking about. In failing to report it the BBC were failing to tell the story properly. "Thousands of young white men have converged on Cronulla Beach in Sydney, Australia, and attacked people of Arabic and Mediterranean background." Why does this difference in reporting matter? If, as I maintain, race should make no difference to our condemnation of criminal violence, why is is it a big deal that the BBC mentions race in one case and not in another? why is is it a big deal that the BBC mentions race in one case and not in another? So many straw men, so little time. in the Portuguese story, the muggers (if indeed they were all black) were just randomly mugging people on the beach. Probably some black or mixed-race people would have been mugged as well so the crime was not racially motivated. In Australia, a group of people of one race sought to attack those of other races. Of course mentioning the race here is pertinent! I am taking a GREAT LEAP OF FAITH in assuming you understand the huge difference between these two cases. and do I detect someone getting a wee bit personal? I have no grasp of reality indeed. Odds are on another poorly-thought out rebuttal from Have-The-Last-Say-Hellyer . Biodun, explain the difference between the murder of Anthony Walker and that of Kriss Donald. "So many straw men, so little time." As I've not misrepresented anything you've said, I can only assume you don't know what a straw man argument is. "I am taking a GREAT LEAP OF FAITH in assuming you understand the huge difference between these two cases." In that in the case of Australia, the coverage assumed it was racially motivated, even though the local authorities said it wasn't at the time, while in the case of Portugal no mention is made of race, despite the ethnicity of the attackers being the story in the local media? "and do I detect someone getting a wee bit personal?" No, you talked about perception and reality in your typically condescending post of 00:42. Don't complain when you're picked up on it. "Odds are on another poorly-thought out rebuttal from Have-The-Last-Say-Hellyer"
Nice ad hominem attack. It must have been easier for you than dealing the point raised. Often when you go through the blogs on this site its like going back in time. Not to the nineteen eighties but the nineteen sixties and the days of Enoch Powell and Alf Garnett ranting away about race and the pinko`s in the BBC. Typical smear and straw man tactics, Jack. 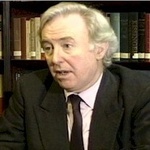 Many free marketeers crticised Howard's immigration and asylum policies. Hello, Jack. Nice to have you back. Aren't you going to join the Carnival of Clowns vying to run the Lib Dems? I'm sure they need your headbutting talents when it comes to defending some of those Lib Dem marginals. Hello Jack.Where have you been?Your amusing posts have been much missed by me at least! Well if it isn't our old pal Jack Stoned, the voice of reason and the Conservatives' moral guardian, come to teach us all the error of our ways again! Hurrah! Tell us Jack, do the wardens know you've escaped again? If Jack Stone is back, will Barbara Villiers make a sudden come back as well? We can only hope!